There are almost 200 million consumers in the Middle Eastern region today, and more than 33 million of them are online, according to Internet World Stats. As one of the first lessons in Entrepreneurship is to find an underserved market and serve it, that's just what BreakAway Games and Quirkat have done! BreakAway, a leading developer of entertainment games and game-based technology products and Quirkat, a leading Middle East interactive entertainment services company, announced on Monday the release of Tariq’s Treasure, a fun-filled, puzzle/strategy title on mobile handsets. Tariq’s Treasure is the first mobile title released in the Middle East to offer gamers the choice to play in either Arabic, French or English language versions. 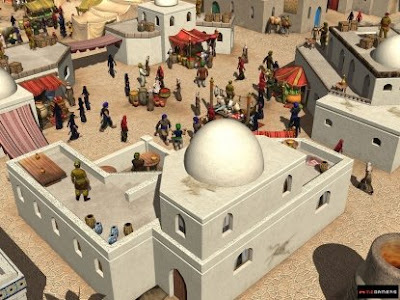 Tariq’s Treasure is a follow up product to Arabian Lords, the world’s first bilingual PC strategy game released last year, exclusively in the Middle East region. 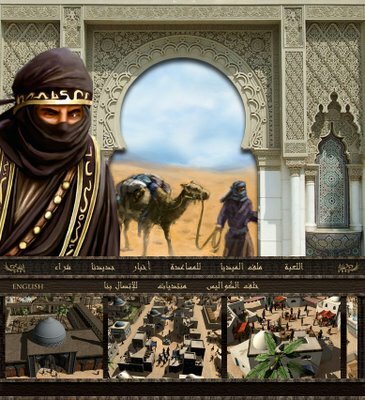 Inspired by the rise of Islam between the 7th and 13th centuries, Arabian Lords is a bilingual strategy game targeted specifically at Middle Eastern players. Gamers take the role of an enterprising merchant lord, and through a combination of strategy and city-building, they try to grow their influence from just one palace to an entire ancient empire. As they gain prestige and wealth, they must engage in competition and shrewd diplomacy against rival factions while keeping their own customers and citizens happy and their communities thriving. Beggars, thieves and vandals can be sent to sabotage an opponent, for example, while musicians, poets and bards can be used to help a market flourish. Players are rewarded for successful negotiation and leadership, not military might or violence. BreakAway ’s unique partnership with Quirkat includes the design, development and marketing of fun, high quality games created specifically for Middle East gamers, blending state of the art gaming with rich and historical regional themes. Future game releases include a fantasy-based collectible card game, set in a mythical kingdom and a PC-based, action-adventure game for kids of all ages. “With the successful release of Arabian Lords and Tariq’s Treasure, games designed exclusively for the Arab world, we’re realizing our longer term objective to transfer game development expertise and knowledge across genres and delivery platforms to the fast-growing Middle East region”, said Deborah Tillett, Executive VP of BreakAway. In Tariq’s Treasure players must rescue Tariq the traveler from the mysterious and dangerous tunnels of the desert. Players can take on the role of an agent, archaeologist or treasure hunter as they collect valuable jewels, meet and befriend helpful companions and fight dangerous creatures in their quest to defeat the ultimate enemy and rescue Tariq. Players can submit scores and compete on leaderboards across the region. Tariq’s Treasure is available across the Middle East via Quirkat’s distribution network of mobile operators in Jordan, Kuwait, Bahrain, United Arab Emirates and Saudi Arabia, in addition to the company’s online casual games portal, Fuzztak. Founded in 1998 in Hunt Valley, MD, BreakAway, Ltd. is a leading developer of entertainment games and game-based simulations for modeling, simulation, training, and visualization. BreakAway is an innovator in using game technology to change the way we learn, communicate, train, and teach. BreakAway’s flagship product, mōsbē is the first PC-based desktop development studio created to power serious games. With a suite of development tools based on game technology packaged in an intuitive and easy-to-learn user interface, mōsbē™ puts the power to create customized simulations in the hands of the user. With a client list that includes Electronic Arts, Microsoft, FDIC, and the National Institute for Justice, BreakAway has emerged as the top serious games company through its game-based simulation products. A three time Deloitte’s Technology Fast 50 winner, BreakAway employs over 100 people in its Hunt Valley , MD headquarters and at its Corpus Christi , TX and Suffolk , VA offices.